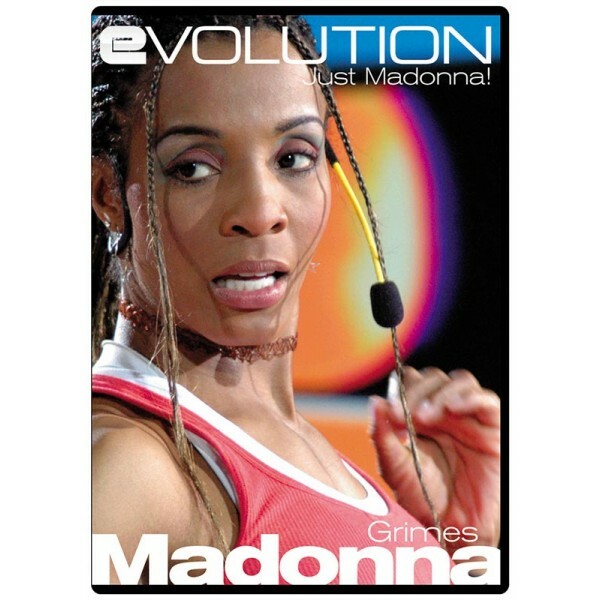 The one…and only…Madonna comes to Evolution with two hot hip hop dance workouts in one scorching DVD. With ten back-up dancers this workout looks and feels like an MTV video clip. Madonna has packed more choreography into each workout than any DVD release ever before. Without doubt the world’s greatest fitness dance teacher guarantees you an at-home workout experience like no other. Your students are gonna love you for it. DVD Bonus Features - Behind the scenes of Madonna rehearsing with her dancers. Bloopers and Outtakes. The “How to make an Evolution video” documentary, as well as Bonus Blocks of choreography from other Evolution dance DVD’s.